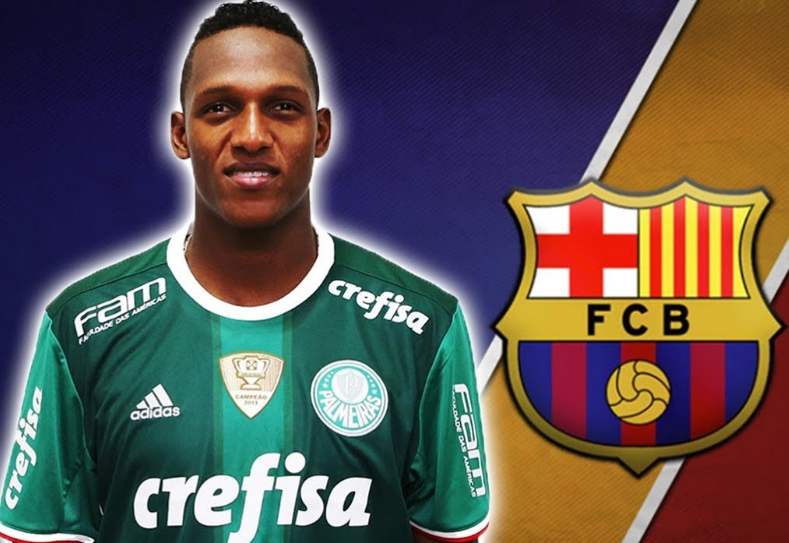 Spanish giants, Barcelona have announced the signing of central-back, Yerry Mina from Palmeiras. Barcelona on Thursday disclosed the signing of Mina via their official website. 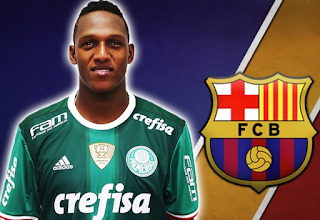 “FC Barcelona and Sociedade Esportiva Palmeiras have reached an agreement for the transfer of Yerry Mina,” the statement read. Mina cost the Ernesto Valverde’s side €11.8 million and the release clause was set at €100million. The Colombian International is placed on a five-and-a-half year deal until June 30, 2023. The 23-year-old has won the Brazilian Serie A and the Copa Sudamerica.